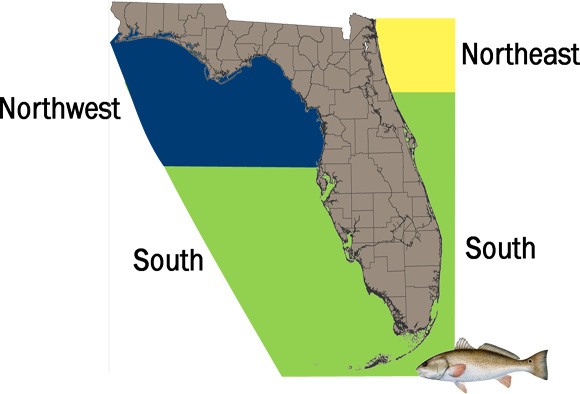 Red drum management changes made by the Florida Fish andWildlife Conservation Commission at its Nov. 2011 meeting will take effectWednesday, February 1. Many of these changes mean more angling opportunities,including increased recreational bag limits in some regions. Changes affecting red drum include: The creation of threemanagement zones for red drum instead of one statewide management area. Theareas represent the northwest, northeast and southern sections of the state'swaters; Increasing from one to two the number of red drum that a recreationalfisherman can take per day in the Northeast and Northwest zones; Establishing astatewide vessel limit of eight red drum; Limiting the number of red drum thatcan be transported in a vehicle on land to six red drum per person. Northwest: Escambiathrough Fred Howard Park Causeway near Pasco County. South: Pinellasthrough Monroe counties on the west coast and Miami-Dade through Volusiacounties on the east coast. 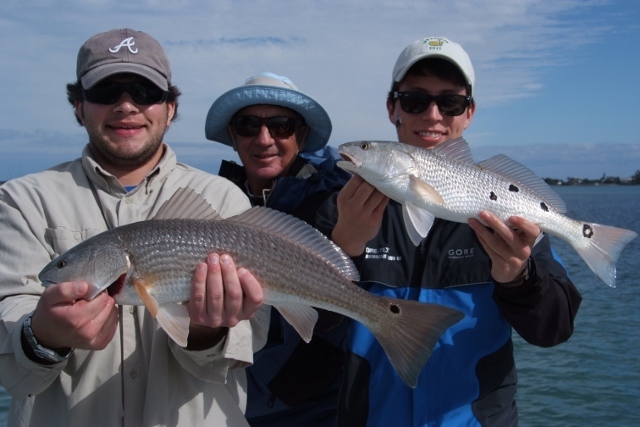 To learn more about red drum recreational fishing, visitMyFWC.com/Fishing and click on "Saltwater Fishing" and then"Recreational Regulations."